filled with an intimate and welcoming charm. Available from Indie Bound, Elliott Bay Book Company, and other booksellers online. Curious about her enduring love for Richard Brautigan’s work, Allison Green embarks on a road trip tracing the route of his most famous work, Trout Fishing in America. As she travels, she examines the way we relate to the things that influence us―the ancestors who created us, the past that shaped us, the writers who changed the way we saw the world―and how these things intertwine to make us who we are. 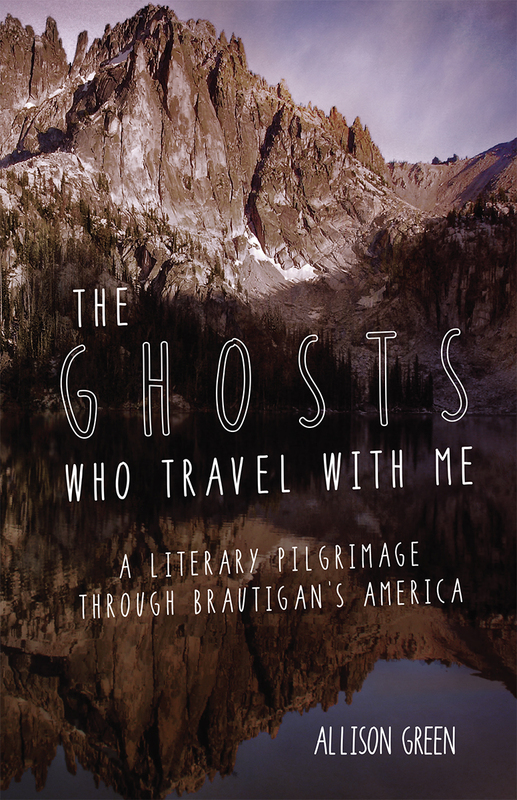 The Ghosts Who Travel With Me speaks to a forgotten generation while breaking the confines of traditional memoir. As much fun as I had reading The Ghosts Who Travel with Me, I also found myself challenged and provoked and asked to grapple with the legacies of my own ancestors, literary and otherwise. Charming, wry, and elliptical.…Vastly entertaining. One of the many pleasures of reading this book is imagining what Brautigan himself would make of it―surely he would appreciate it as a kind of homage; more importantly, its rich and intelligent navigations would show him so much about what has changed and what has stayed the same in the world he left behind. Readers need not be a child of the sixties or a fan of Brautigan to appreciate this book. As she delights us with her rich explorations, Green leads us to examine how we are all shaped―and perhaps even haunted―by our earliest influences. I loved the read. It’s Brautiganesque, without leaning too hard on its source novel, and Green is a canny tour guide. She says, “It’s hard to stop the wheels once they’re turning.” It’s also hard to stop these pages turning, and you might want to travel this road with her more than once.